Use of robotics in laparoscopy has been spurred by the commercial availability of master-slave robotic devices such as the da Vinci®a surgical robot. These devices have articulating instruments, which afford extra planes of motion that is particularly attractive for urologists with limited laparoscopic surgical skills (20,27-30). Additional reported benefits include improved ergonomics for the operating surgeon, who sits at a computer console separate from the operative field (31). It has been postulated that robotic assistance reduces the technical difficulty and potentially allows novice laparo-scopists to complete these procedures (32). 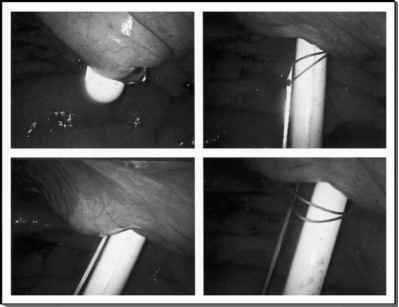 Use of the da Vinci robotic system has been reported with both transperitoneal and extraperitoneal approaches, with similar results (31,33). One of the major limitations to the use of robotic devices in prostate surgery is the cost (34). The da Vinci surgical robot requires a tremendous capital investment, and the laparoscopic instruments used by the master-slave robot have preprogrammed senescence so that they can be used for only a finite number of procedures before they must be replaced. Additionally, the annual maintenance and per-case disposable instruments costs limit the widespread implementation of such device. Other criticisms include the inadequacy of the available surgical instruments used in robotic-assisted laparoscopic radical prostatectomy, the loss of the sense of touch or tissue resistance feedback available with conventional laparoscopy, and finally the time-consuming set-up process.